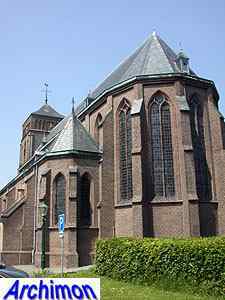 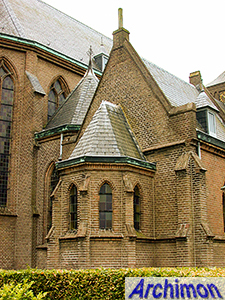 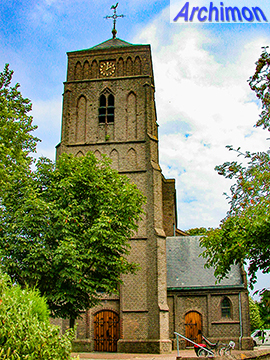 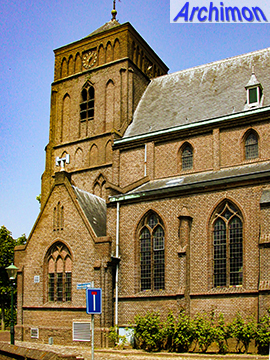 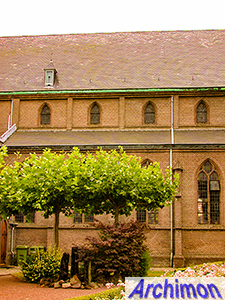 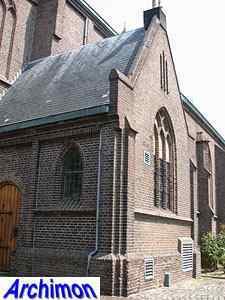 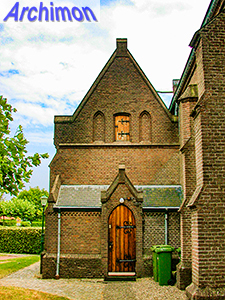 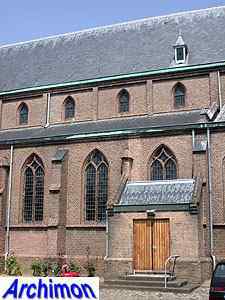 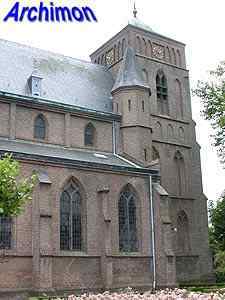 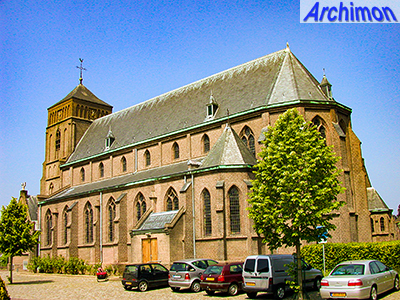 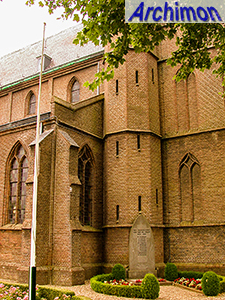 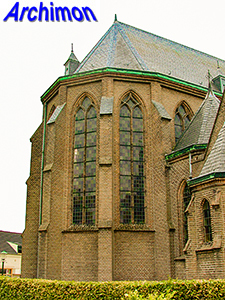 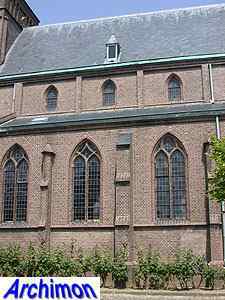 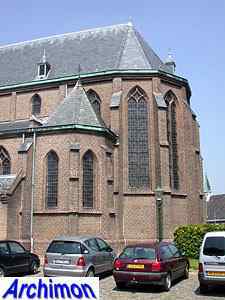 The catholic St. Martinus of Pannerden is a three-aisled basilican church in neo-Gothic style. 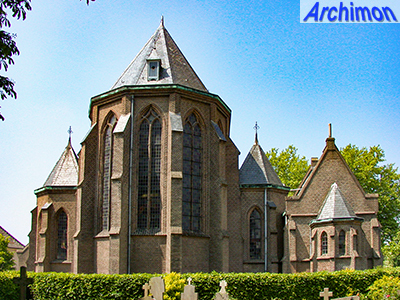 It was designed by architect Alfred Tepe and built in 1877-1878. 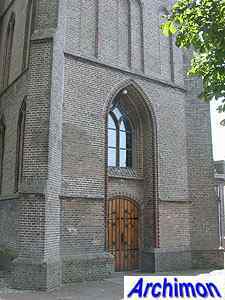 A tower in Romanesque style was incorporated but is unrecognizably hidden beneath layers of brick. 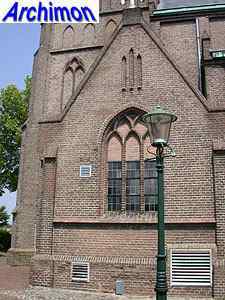 In 1944 the top of the tower was destroyed. 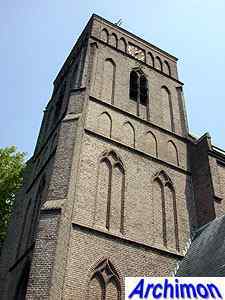 Although the towerwas resored after the war, the original tall spire was not rebuilt but was instead replaced by the current roof. 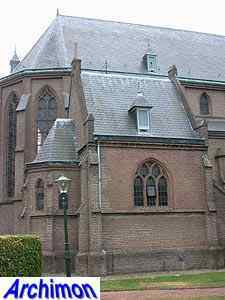 While the actual church is rather modest in style, its general appearance is made more interesting by the presence of various external spaces, like the transept-like chapels flanking the tower and the sacristy on the north side, which itself has a polygonal choir-like space.